Q1. Are there other organizations that have experience dealing with specific disability populations which would be able to assist me with questions I have about that population? A. Yes, there are many organizations which are more than capable to provide information about specific disability populations. (See Fact Sheet #6 “Supporting Collaborations between Navigators, Connectors and Assisters, and Local Disability and Affinity Organizations”). The NDNRC is comprised of seven organizations, four of which deal with specific disabilities such as mental illness, multiple sclerosis, intellectual and developmental disabilities and spinal chord injuries. In addition, the NDNRC has several friend organizations that address a wide variety of disabilities. Q2. Are there local offices for any of these organizations that could provide additional assistance? A. Yes, many of these organizations have local chapters and/or affiliates. Our individual state pages have links to the local chapters for three of our partner organizations (NAMI, National Multiple Sclerosis Society and The Arc). Additionally, our Fact Sheet on “Supporting Collaborations between Navigators, Connectors and Assisters, and Local Disability and Affinity Organizations” has links to find local chapters and/or affiliates of several disability organizations. Q3. I’m assisting a consumer who is blind and she has asked about any resources available to help her use a computer, such as a screen reader. Is there a place I can refer her? A. Every state has an Assistive Technology program which provides a wide variety of services aimed at helping people with disabilities acquire the assistive technology they need to gain independence in their home, school and work. (For a complete description of the State Assistive Technology Programs and what they do, click here). The contact information and website for each State Assistive Technology Program can be found on the individual state pages of the NDNRC website. Q4. Are there any other resources I should know about when assisting consumers with disabilities? The NDNRC website also has resources which are disability specific. These can be found on the Resources & Links page. On the Resources & Links page there are also resources for individuals with mental and behavioral health needs as well as resources for populations with special health care needs. Q5. What other resources should I know about? Enrollment Resources – Disability Specific: Many of these resources are from our partner and friend organizations, such as a toolkit from The Arc and draft questions on rehabilitation and habilitation benefits from the American Occupational Therapy Association. Enrollment Resources – Mental Health and Behavioral Health: This category includes resources from SAMSHA, National Counsel for Behavioral Health and Mental Health America. Enrollment Resources – Populations with Special Health Care Needs: In this section you can find resources from the American Heart Association, the National Health Council and a cancer checklist (in English and Spanish). Enrollment Resources – ACA Marketplace and Medicare: This category has resources from the Centers for Medicare & Medicaid Services (CMS) as well as organizations with expertise in Medicare policy such as The National Council on Aging and the National Senior Citizens Law Center. Enrollment Resources – ACA Marketplace and Medicaid: This category has resources from CMS as well as organizations with expertise in Medicaid policy such as such as the National Academy for State Health Policy and the National Institute for Health Care Management. Enrollment Resources – Overview: This is our largest category and includes consumer assistance guides, tax credit tools and the “Navigator Resource Guide on Private Health Insurance Coverage and the Health Insurance Marketplace” that was put out by the Georgetown University Center on Health Insurance Reforms. Enrollment Statistics: This category is constantly updated and contains the most recent enrollment statistics put out by the department of Health and Human Services (HHS) for both the healthcare.gov marketplace and Medicaid and CHIP. It also includes analysis of enrollment statistics from organizations like the Kaiser Family Foundation. 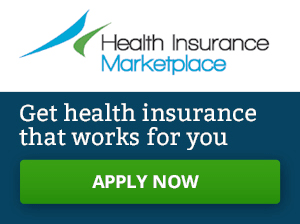 Affordable Care Act (ACA) Resources – Government: This category includes basic resources from healthcare.gov, HHS and CMS’s Spanish resources. Affordable Care Act (ACA) Enrollment Resources: This category includes links to organizations that have been assisting and encouraging enrollment, such as Families USA, Enroll America and the Commonwealth Fund. Q6. I have a specific question about assisting a consumer with a disability that is not covered on your website, the disability guide or one of your fact sheets. Is there another way I can get an answer to my question? A. While we have endeavored to cover a wide array of topics, we recognize we cannot address every possible question which may arise when assisting consumers with disabilities. We do have a feature where you can submit a question to us and we will do our best to answer your question or find someone else who can assist you with your issue.